What Makes An Online Business Valuable To Buyers? You have a great idea for a business. That great idea makes you money and the business more profitable than you originally thought. Now you want to cash out. So what comes next? At Quiet Light Brokerage, we meet these kinds of entrepreneurs every day. They come with businesses for sale that they never thought in their wildest dreams they would want to sell eventually. Instead, they only thought about giving birth to the business in the first place. So when you decide to sell the business, how can you tell what makes your business valuable and sellable? How can you calculate its potential worth? When someone thinks about selling their business, their first thought is often who would be a good fit to buy the business. This usually involves thinking of competitors, upstream providers, or larger companies that might benefit from having your business. This type of sale is often referred to as a “strategic sale”. The alternative to a strategic sale would be a “marketplace-based sale”, which is what most sales fall under. In a marketplace-based sale, you don’t seek a specific buyer. Rather, you appeal to the many thousands of ordinary buyers who are interested in finding a solid business to own. This may involve working with a broker such as us, or listing your business for sale on a marketplace such as BizBuySell.com. When the time comes to sell your business, you may want to consider a strategic sale. However, there are drawbacks. Since you are working with fewer buyers, and because you are approaching them - rather than them approaching you - the success rate on these types of sales tends to be significantly lower than a marketplace-based sale. Would you feel comfortable opening up your financial statements, tax returns, and other sensitive information to a competitor? At some point in the sales process, you’ll need to do this, and you may not be comfortable with your competitor seeing this information under any circumstances. Unlike marketplace-based valuations, which are fairly predictable, valuations in a strategic sale depend largely on your industry and how combining two companies looks from a financial standpoint. This can make it difficult to form a basis for negotiations. As previously mentioned, the vast majority of acquisitions occur in the marketplace. Within this marketplace, the success rate for well-positioned businesses is well over 90%. But how do you determine how much your website would be worth in the marketplace? To help calculate this, let’s start with a basic rule. Your business is worth only what someone is willing to pay for it. So rather than get into complex formulas to claim how much you think your business should be ‘worth’, it is better to instead think about what buyers would be willing to pay you. It is also important to understand that what buyers are willing to pay has changed over time. Don’t let the simplicity of this formula trick you. There is a lot of information packed into this approach. So let’s dissect it. Since most potential buyers are interested in generating a strong return on their investment, the earnings your business generates form the baseline for any valuation. Entrepreneurs are often dismayed at just how closely buyers scrutinize the earnings of their business. After all, your business is made up of more than just revenue in and expenses out. You spend a lot of time and effort building an experience that your clients and customers love. Don't worry, these things will be taken into account in the multiple that a buyer is willing to pay. But before we look at the multiple, we need to understand what makes up the earnings of your business. Obviously, annual means 12 months, but which 12 months are we looking at? The answer to this question is the most recent 12 months available. That may mean your last fiscal year, or the last 12 months of books that you have properly recorded. Secondly, What Do We Mean By Earnings? Your business generates a certain amount of revenue, which is the total amount of money that comes into the business. Your business will also have expenses, and after these expenses are paid, hopefully there is money left over. This money are your earnings. But often the owner may have expenses that aren't really necessary to the business. For example, one business owner may decide to pay themselves a very high salary, while another business owner may decide to pay themselves a very small salary. Due to this, we aren't looking at just the bottom line earnings of your company as you file your tax returns. We are actually looking for a figure called “owner’s discretionary earnings”. “Owner’s discretionary earnings” is the amount an owner can spend at their discretion. The calculation of this figure can be somewhat complex, but it does follow set rules. Expenses such as your salary, interest, appreciation, amortization, or one-time major investments, are usually not counted as expenses in this calculation. You can get a more detailed explanation of how owner’s discretionary earnings are calculated here. The more mysterious part of the valuation formula is how to determine the multiple of your business. The multiple is determined by two things. First, how much are buyers currently willing to pay for businesses? Secondly, how well does your business compare to other businesses in the marketplace? If we look at the first thing, we need to look at larger influencing factors, such as the current economy, the state of internet-based businesses, and how much lending is available. If we look at the history of multiples that buyers are willing to pay, we can see this has historically been a large range. Back in the early 2000’s, buyers often paid upwards of 10x a business's earnings. However, during the Great Recession, it was difficult to find any buyer willing to pay more than 2.5 times earnings. Secondly, we need to consider how your business compares to other businesses in the marketplace. Remember, in a marketplace-based sale, buyers are looking for a business that provides a good return on investment. They may have some criteria about what niche works well for them, but they are more concerned about the health of your business. There are literally dozens upon dozens of factors which can influence the second part of the multiple. However, we can generalize these factors into four primary categories - risk, growth, transferability, and verifiability. Because buyers are largely influenced by the potential return on investment they will receive by buying your website, most buyers want to see your business has strong potential for further growth. Obviously, nearly every entrepreneur believes their business has great growth opportunities, but it needs to be more than just wrapped up in some vague potential. The more clearly you can demonstrate to a buyer how they can grow your business, the more valuable your business will become. For example, it is usually unconvincing to a buyer to explain that more advertising will cause your business to grow. This is true for nearly every business, and there's no way to determine just how much new advertising will impact the overall profitability of the business. On the other hand, if you know that making a small change will gross revenues of the business by a certain measurable amount, this becomes a more convincing argument for a potential buyer. For example, if you know your conversion rate is significantly lower than industry conversion rates, this becomes an opportunity for growth. But the strongest indicator of potential growth is always your historical growth. Because of this, you will want to sell your business while it is still growing. Ideally, the growth will be steady over time. A business which has flatlined or is in decline does not show a lot of potential or appeal. Buyers tend to be very risk-averse. Therefore, you need to make sure you eliminate any major risk factors to your business. Most buyers of internet-based businesses remember the days when Google released major algorithm updates such as Panda or Penguin, which effectively destroyed the earnings of thousands of small web-based businesses. Learning from these lessons, many buyers are wise to the risks that an internet-based business poses. As you consider how valuable your business may potentially be for a buyer, learn to identify any single points of failure within your business. A single point of failure is any aspect of your business which, if it fails, would cause significant damage. For example, if you rely on only one vendor for products to your ecommerce store, this would be a single point of failure. Or if your business has a single client who makes up a large portion of your revenue, this would also be a single point of failure. Risk can exist in your business in many different ways, and owners of businesses are often blind to those risks. Because of this, it often makes sense to have someone outside of the business to look and identify any risk that may exist. Most brokerage firms, including ours, will offer a free valuation which will help identify areas that potential buyers may find risky. Most internet-based businesses are easily transferable to other buyers. One of the reasons there is such a strong marketplace for internet-based businesses is that there are very little restrictions on who can own one. In the traditional bricks-and-mortar world, acquisitions are often limited by your geographical location. That said, you still need to pay attention to how transferable your personal business is. Avoid building your business on your personal brand or your personal skills. For example, a web design agency in which the owner does most of the design work is probably not very transferable. Additionally, if you own a SaaS business and do all of the programming yourself, this will be a barrier to transfer ability. Ideally, you should build your business in such a way that if you were to become incapacitated tomorrow, someone else would be able to step in on day one and run the business with very little impact to the company. Finally, buyers pay attention to how easily they can verify the statements about your business, especially on the financial side. Entrepreneurs who keep clean records of their business tend to build more valuable businesses. The reason for this is simple - a buyer wants to measure their potential return on investment, but if your records are messy, they will have no way to know what potential return on investment they will receive. Therefore, you should put a big effort into making sure your financial records are clean, separated from your personal activities, separated from other business activities, and that you have statements to verify your financial records. In addition, you should make sure that you have an analytical program set up on your website to measure activity, and measure any other key metrics of your business. It is important to identify any key performance indicators for your business, and record those properly. It does not make sense for most entrepreneurs to constantly obsess over the day that they may sell their web-based business. Generally speaking, it is better to own a profitable business than it is to sell one. However, most entrepreneurs at one point or another decide that they want to do something different. This could be because your life has changed, you are retiring, or you want to pursue another opportunity. So it is good to understand the basics that go behind how businesses are valued. If you know these things in advance, you can build your business in such a way that it will be a valuable asset to sell should you ever decide to. 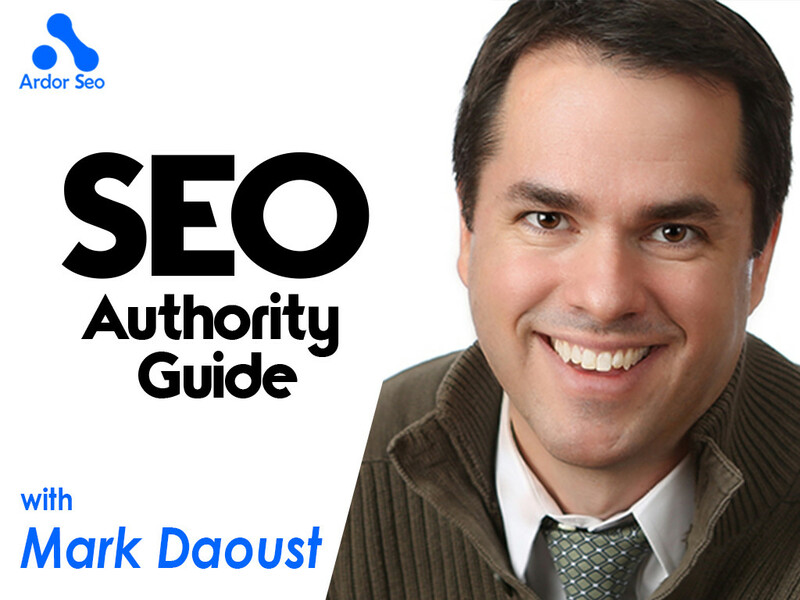 Mark Daoust is a widely recognized expert in the field of buying and selling websites. He is an in-demand speaker at conferences and a contributor to Entrepreneur, Forbes, Inc., and other well known publications. 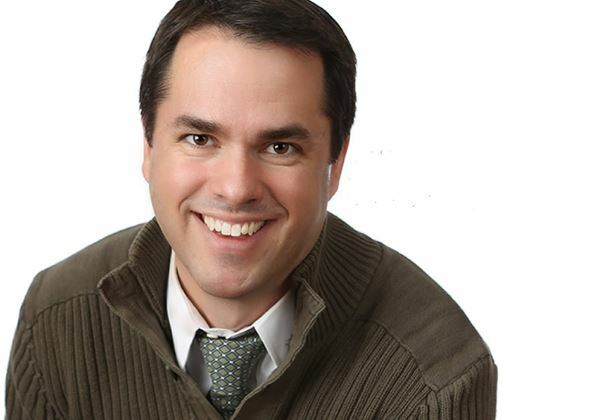 Mark is the founder and CEO of Quiet Light Brokerage (link to our website), a website brokerage firm that helps entrepreneurs sell their internet based businesses.